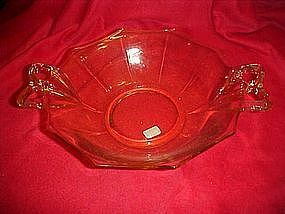 Lovely topaz yellow handled soup bowl in Fostoria's Fairfax pattern. This was made from 1929-1937. Bowl measures 6" in diameter plus the pretty bow shaped handles. Excellent condition.